Alums and current students came together to network and build contacts. 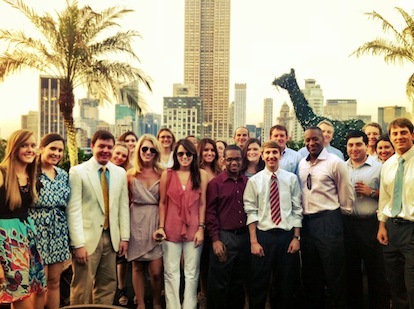 NEW YORK -- With the rooftop garden at 230 Fifth as the backdrop, 20 Greater New York Chapter members welcomed 15 current students to the Big Apple at the UANYC Summer Networking Event. The event served as the chapter's official welcome to current Alabama students who are completing internships in the New York City area this summer and recent Alabama graduates who have recently moved to the area.